Students are expected to have a good conceptual understanding of the operations. 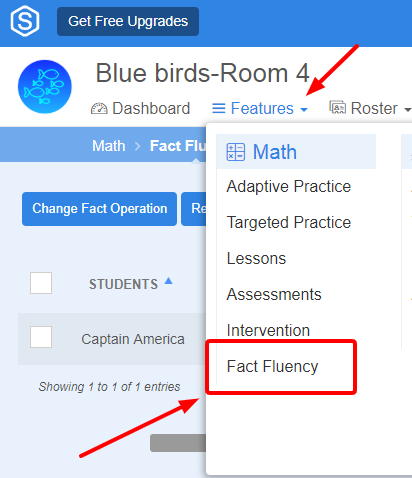 With this in mind, you can reset Fact operations for students at any time! 3. Check the students whose operations need to be reset. 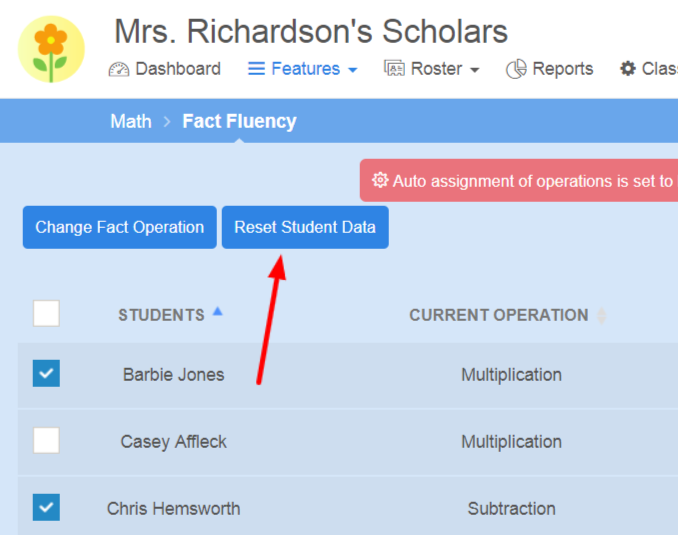 Then click Reset Student Data and check one or more operations to reset. 4. 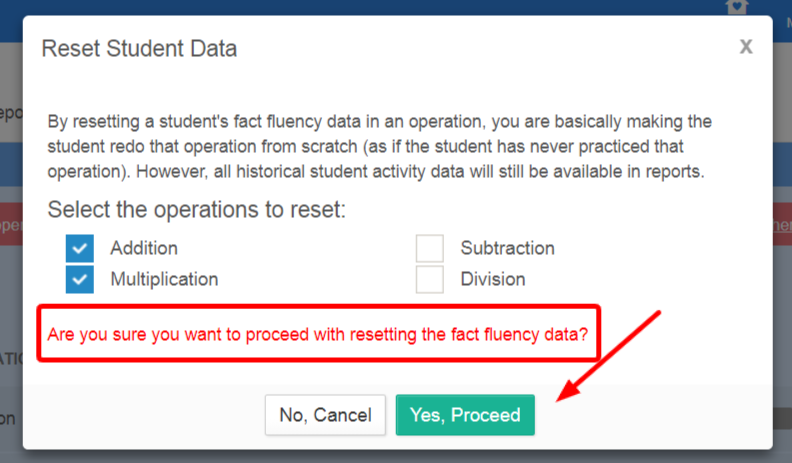 By resetting a student's fact fluency data in an operation, you are basically making the student redo that operation from scratch (as if the student has never practiced that operation). 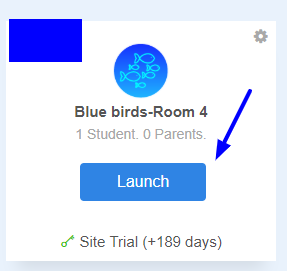 However, all historical student activity data will still be available in reports. THIS CANNOT BE UNDONE. The student can now practice some more!